Inspired by your favorite summer drink, this tangy sweet ‘n savory Cherry Lime Salsa is phenomenal with tortilla chips or atop a crunchy chicken salad. Salads in summer just taste better. Fresh ingredients, lots of textures, veggies, fruit… what’s not to love? This is a new favorite! Cherry Limeade is the quintessential summer drink, isn’t it? Whether you have a Sonic nearby or not, it just sounds like summer! Cherries, limes, sugar… mmm. This fantastic summer salad/salsa combo is inspired by the refreshing beverage and I’m sure you’re going to love it! Before I tell you all about it, can I let you in on a little secret? I don’t think I’ve ever had a whole Cherry Limeade of my own! Seriously. I think I just steal sips from Ben’s. 🙂 But that’s okay, this salsa MORE than makes up for it. The salsa is incredibly simple–only three ingredients. Cherries, a lime, and some Cherry Chipotle Not Ketchup. “No’chup” as Ben calls it is fantastic. I’ve been able to try a few flavors, and this one is amazing. It’s sweet and smoky with a hint of spice. 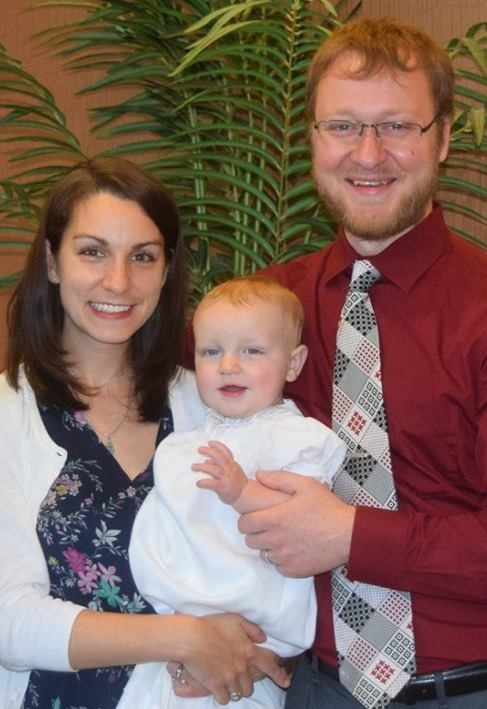 Thanks, Erika, for your sponsorship! The salsa is sweet, smoky, and tangy all at once. 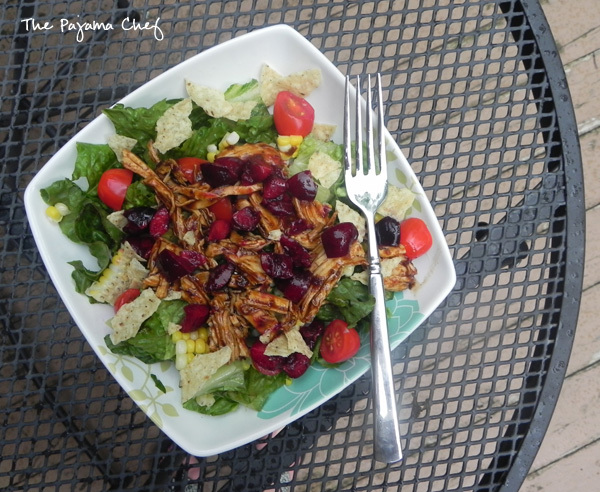 I was sampling it with tortilla chips when I had a flashback to this BBQ chicken salad I made every other week last summer and decided to shake it up with some cherry chipotle flavors. The combination of crisp romaine, crunchy corn, and sweet tomatoes is awesome on its own. But add in that Cherry Lime Salsa and some chicken tossed in more of the Cherry Chipotle Not Ketchup and you have a masterpiece! Admittedly, this salad is simple but it is very tasty and looks fancy to impress your friends and family. You can purchase Not Ketchup online or in select stores in CA, MI, and a few other states, but in a pinch I think you could get some of the same flavors with cherry jam and chipotle peppers. [Not Ketchup is awesome and I’d purchase it on my own for sure but I always like to give people options, ya know?!] This salad is full of all things delicious and I’m excited to eat the leftovers for lunch today! By the way, making this salsa was made a zillion times easier with the help of a cherry pitter. I received one as part of #HotSummerEats from Casabella and it’s quite easy to use. I highly recommend it and can’t wait to use it to make my first cherry pie later this summer. Thanks for the gift! 🙂 You can win one and some great other prizes as part of #HotSummerEats this week. Go here for the giveaway! Good luck! Wash and pit cherries, then slice into quarters and place in a bowl. Stir in zest and juice from 1 lime, then add 3 tablespoons Cherry Chipotle Not Ketchup. Taste and add another tablespoon or so if desired. Set aside while preparing salad. In a small bowl, stir together cooked, shredded chicken and Cherry Chipotle Not Ketchup. Heat on the stove or in the microwave until warm. Divide lettuce, corn, and tomatoes between four plates or large bowls. Top with chicken, cherry lime salsa, and crushed tortilla chips. Enjoy! For more delicious #HotSummerEats recipes, check out the link below! 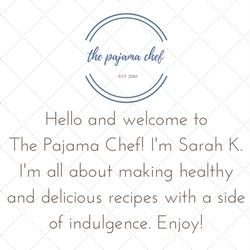 Disclaimer: Thank you to Not Ketchup and Casabella for providing samples and product to use for#HotSummerEats recipes without additional compensation. I was not asked to provide positive feedback. All opinions are my own. Please check Not Ketchup out on Facebook, Twitter, Instagram, Google+, and Pinterest for more information on their products. You can also find Casabella on Twitter and Facebook to learn more. That’s what Summer Eats is all about, simple and delicious recipes. This sounds fantastic, The Cherry Chipotle not ketchup is truly amazing. 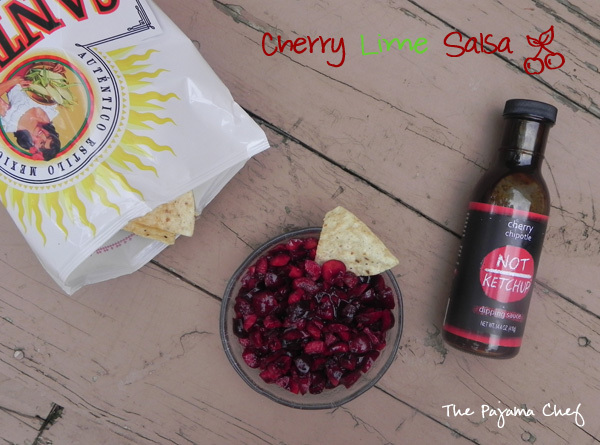 I love the sounds of the cherry salsa! How yummy! Ooh, this sounds fantastic! What a creative use of flavors + ingredients, and it sounds perfect for a summer dinner. Also, I LOVE my cherry pitter, too – I actually use it way more than I expected I would! What a great use of the Not Ketchup! I bet it’s amazing with children! Ack! Chicken! I have to proofread! thanks, amy! this comment totally cracked me up…in june and then a month later when i caught up on replying to blog comments. hilarious! This salsa sounds like the perfect accompaniment to just about any summer barbecue. 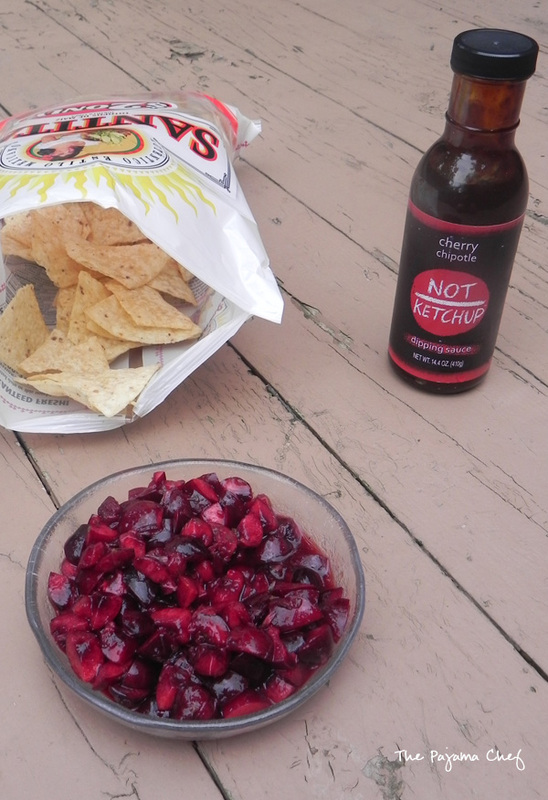 What a creative use for your Cherry Chipotle Not Ketchup – glad you are enjoying it! Delicious! That’s my favorite brand of tortillas, too! Ooh, this sounds fantastic! What a creative use of flavors + ingredients, and it sounds perfect for a summer dinner. thank you so much, sneha!